Context: The precision of an arbitrary face-bow in accurately transferring the orientation of the maxillary cast to the articulator has been questioned because the maxillary cast is mounted in relation to arbitrary measurements and anatomic landmarks that vary among individuals. Aim: This study was intended to evaluate the sagittal inclination of mounted maxillary casts on two semi-adjustable articulator/face-bow systems in comparison to the occlusal cant on lateral cephalograms. Materials and Methods: Maxillary casts were mounted on the Hanau and Girrbach semi-adjustable articulators following face-bow transfer with their respective face-bows. The sagittal inclination of these casts was measured in relation to the fixed horizontal reference plane using physical measurements. Occlusal cant was measured on lateral cephalograms. SPSS software (version 11.0, Chicago, IL, USA) was used for statistical analysis. Repeated measures analysis of variance and Tukey's tests were used to evaluate the results (P < 0.05). Results: Comparison of the occlusal cant on the articulators and cephalogram revealed statistically significant differences. Occlusal plane was steeper on Girrbach Artex articulator in comparison to the Hanau articulator. Conclusion: Within the limitations of this study, it was found that the sagittal inclination of the mounted maxillary cast achieved with Hanau articulator was closer to the cephalometric occlusal cant as compared to that of the Girrbach articulator. Among the two articulators and face-bow systems, the steepness of sagittal inclination was greater on Girrbach semi-adjustable articulator. Different face-bow/articulator systems could result in different orientation of the maxillary cast, resulting in variation in stability, cuspal inclines and cuspal heights. The distance of the maxillary arch from the intercondylar axis: This relationship is recorded by locating the hinge axis. ,,, Once the axis of rotation is located, the distance of maxillary arch from this axis is easily recorded with a face-bow. The three-dimensional relationship between the maxillary occlusal plane and the skull: This function is inherent with the use of a face-bow and is independent of the first one. In 1905, Campion introduced the concept of spatial orientation of maxillary cast on an articulator, which is similar to the orientation of a patient's maxilla to their temporomandibular articulation. Variations in maxillary cast orientation on the articulator compared to the orientation of patient's transverse horizontal axis can result in occlusal discrepancies because of deviations in the arc of closure. Face-bows were developed in conjunction with articulators to relate the maxillary arch to the axis of the condylar hinge in all three planes of space. Several varieties of articulators and face-bows are available in the market today. Face-bows could be either the fascia type or the earpiece type and the articulators could be the arcon or the non-arcon type. Each of these has distinct differences. Hence, this study was carried out to find out the ability of two face-bows of the earpiece type and two articulators of the arcon type in accurately transferring the maxillary occlusal plane from the patient to the articulator. The purpose of this study, therefore, was to investigate the possible differences in anteroposterior steepness between two different face-bow and semi-adjustable articulator systems in comparison to the occlusal cant on a lateral cephalogram. The cephalometric occlusal cant of the individuals on the cephalograms and the sagittal inclinations of mounted maxillary casts after face-bow transfer using Hanau semi-adjustable articulator compared to that of the Girrbach articulator were also evaluated. This study compared the accuracy of face-bow transfer of Hanau H2 articulator with that of Girrbach articulator using cephalometric record as standard. For clinical and cephalometric evaluation, a total of 80 subjects in the age group of 18-30 years were screened and 30 dentate individuals were included in the study. All the subjects were informed about the study and institutional ethical clearance was also obtained. Complete permanent dentition, including the second molars with presence or absence of third molars. 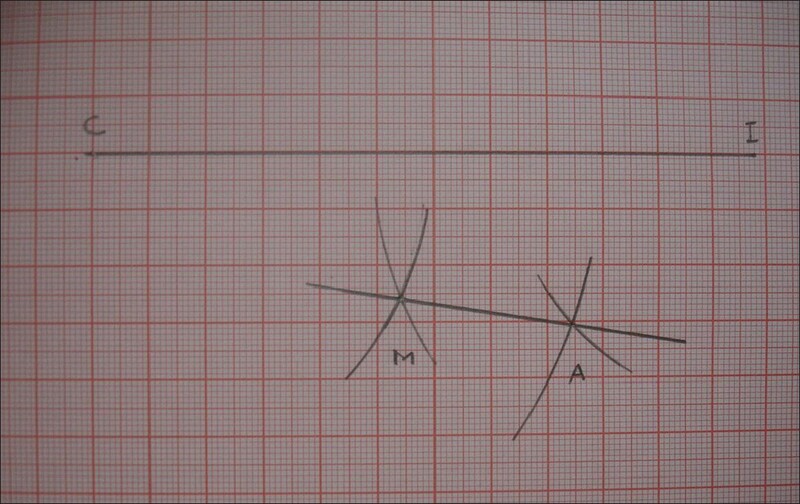 Bilateral Angle's Class I molar relation. Overjet and overbite ranging between 2 and 3 mm. No temporo-mandibular or cranio-cervical disorders. Absence of extensive restorations, cast restorations or cuspal coverage. No previous or current orthodontic treatment. Absence of any pathologic/periodontal condition. No history of craniofacial trauma or surgery. Absence of rotation of central incisors. For each of the 30 subjects, diagnostic impressions of the upper and lower arches were made and the impressions were poured in type III dental stone. The articulators evaluated in this study were the Hanau Wide Vue and the Girrbach articulators. Both these semi-adjustable articulators had earpiece type of face-bows and were of the arcon type. Face-bow transfer for each of these articulators was done following standard manufacturer's instructions, having orbitale as the third point reference in the Hanau articulator and nasion as the third point reference in the Girrbach articulator. Standard mounting procedure was followed for both the articulators as per the manufacturer's instructions. Point C - A point at the center of the condylar axis. This was done by sticking surgical tape on the area and marking two lines which bisected each other at right angles; the point of intersection of these lines was taken as point C.
Point I - A point on the incisal pin at the level of condylar axis. The markings were done in the same way as described for point C. The point of intersection of the two lines was taken as point I. 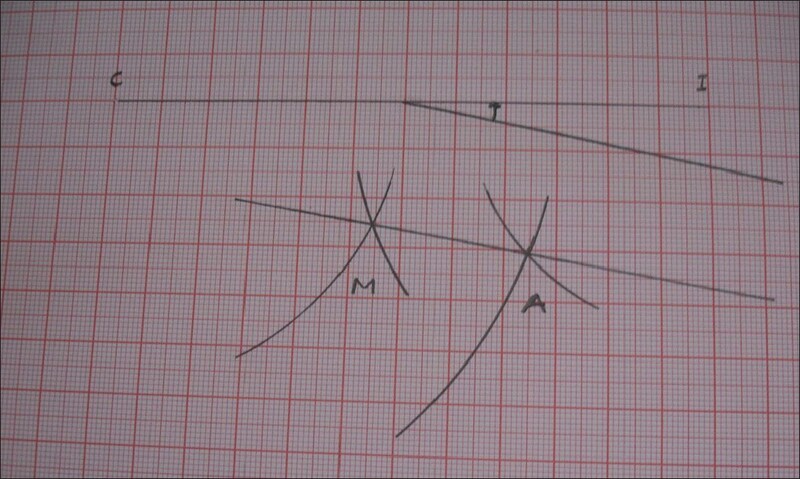 Distance between incisal point I and the point on mesio-incisal angle of central incisor (IA). These distances were then plotted on a graph paper [Figure 1]. The angle formed by lines CI and MA, which represented the horizontal plane and the occlusal plane, respectively, was then measured to the nearest degree [Figure 2]. For cephalometric evaluation, the lateral cephalograms of all the subjects were taken with Frankfort horizontal plane parallel to the ground in a cephalostat (Villa Sistemi Medicali, Model MR84086511, Italy). After obtaining the cephalograms, tracing was done by a single operator using 15-μm thick acetate paper and 0.5-mm HB lead pencil. 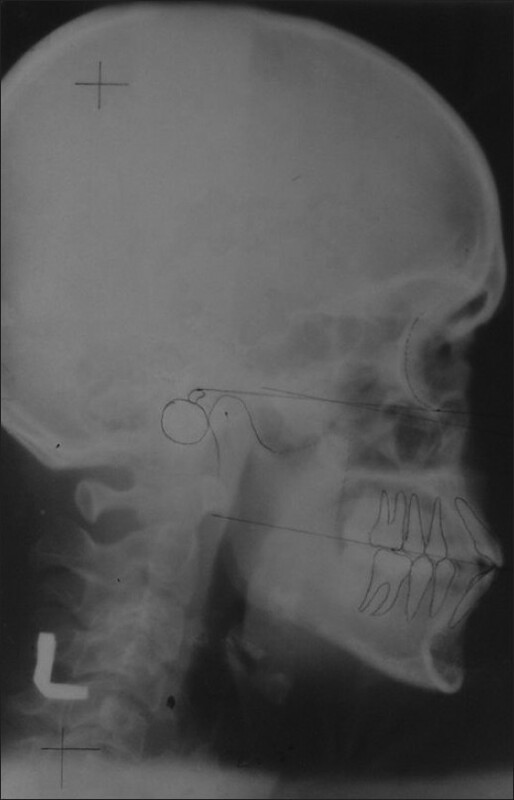 The points machine porion (Po - superiorly positioned point on external auditory meatus located by using ear rods of cephlalostat), orbitale (Or - lowest point on the inferior rim of orbit), mesio-buccal cusp tip of maxillary molar and incisal edge of maxillary central incisor were marked. Points Po and Or were joined to form the Frankfort horizontal plane. The maxillary occlusal plane was drawn between the mesio-buccal cusp of first molar and the incisal edge of upper incisor. The angle was then measured to the nearest degree [Figure 3]. The basic data of cephalometric occlusal cant and sagittal inclination of maxillary occlusal plane of mounted casts, on both Hanau and Girrbach articulators, were subjected to statistical analysis. The data were statistically analyzed with repeated measures analysis of variance (ANOVA). Difference between a pair of groups was analyzed using Tukey's Honestly Significant Difference (HSD) test. "P" value of less than 0.05 was taken as significant. Thirty patients were included in the study and the results obtained were tabulated. [Table 1] shows the comparison of mean sagittal inclination of the mounted maxillary casts between the Hanau and the Girrbach articulators and the lateral cephalogram for all the 30 subjects. 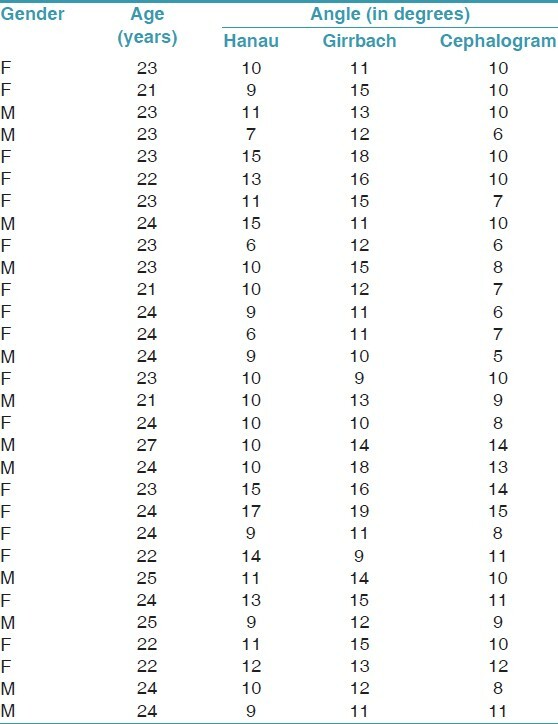 [Table 2] reveals that on the lateral cephalogram, the cant of the occlusal plane varied from a minimum of 6° to a maximum of 15° with a mean of 9.61° ± 2.55°. In the Hanau group, the cant of the occlusal plane varied from a minimum of 6° to a maximum of 17° with a mean of 10.77° ± 2.60°. The Hanau articulator, therefore, came closest to the cephalometric occlusal plane and positioned the maxillary occlusal plane almost 1° steeper than the cephalometric cant. In the Girrbach group, the cant of the occlusal plane varied from a minimum of 9° to a maximum of 19° with a mean of 13.16° ± 2.63°. The Girrbach articulator positioned the maxillary occlusal plane almost 4° steeper than the cephalometric cant. Statistical analysis was performed using the SPSS software (version 11.0, Chicago IL, USA). Repeated measures ANOVA [Table 2] showed a statistically significant difference between the angles as measured by the three methods (P < 0.001). Tukey's HSD test was used to demonstrate the difference between pairs of methods [Table 3]. There was a difference of 1.161° between the mean occlusal cant as measured on Hanau H2 articulator and lateral cephalogram; this difference was statistically significant. A difference of 3.548° was found between the mean occlusal cant as measured on Girrbach articulator and lateral cephalogram; this difference was statistically significant. A statistically significant difference of 2.387° was found between the mean occlusal cant as measured on Girrbach and Hanau H2 articulators. Gold and Setchell compared the cast positions using three articulators and face-bow systems (Dentatus ARL using Dentatus AED face-bow, same articulator with Almore hinge axis locator and Whipmix articulator and Whipmix Quickmount face-bow) and showed small variations. Among these, the largest superior-inferior variation range was seen with Whipmix ear bow. Bailey and Nowlin in their study showed that the angle of intersection between horizontal and occlusal planes was greater on articulator than on radiograph, using Hanau articulator with fascia type face-bow. O'Malley and Milosevic in their study found that a change in the vertical position of the anterior reference point by 6 mm alters the condylar guidance by about 9°, thereby resulting in cuspal incline changes. Such an increase in steepness of occlusal plane would increase the risk of failure when planning an orthognathic surgery. In this study, sagittal inclination of the occlusal plane of articulated maxillary casts to the horizontal reference plane using two different face-bow and articulator systems was evaluated and compared with the cephalometric occlusal cant. Maxillary models were mounted on a semi-adjustable articulator following face-bow transfer for both the systems. Using physical measurements, the inclination of the maxillary occlusal plane with respect to the horizontal reference line was measured. Degree of occlusal cant on the lateral cephalograms was also evaluated. The data obtained from the articulator and the lateral cephalogram were subjected to statistical analysis. The data were statistically analyzed with repeated measures ANOVA. Difference between a pair of groups was analyzed using Tukey's test. P value of less than 0.05 was considered to be statistically significant. The maximum angle measured on cephalogram was 15°, whereas the minimum was 6°, with the mean angle being 9.61° ± 2.55°. On the casts that were mounted on Hanau Wide Vue articulator, the maximum angle that was measured was 15° and the minimum was 6°. The average angle of sagittal inclination was calculated to be 10.77° ± 2.60°. The Girrbach articulator showed a maximum of 19°and a minimum of 9° for the same. The average that was calculated for it was 13.16° ± 2.63°. Repeated measures ANOVA [Table 2] showed a statistically significant difference between the angles measured by the three methods (P < 0.001). Tukey's test was used to demonstrate the difference between pairs of methods [Table 3]. There was a difference of 1.161° between the mean occlusal cant as measured on the Hanau H2 articulator and the lateral cephalogram; this difference was statistically significant. A difference of 3.548° was found between the mean occlusal cant as measured on the Girrbach articulator and the lateral cephalogram; this difference was statistically significant. A statistically significant difference of 2.387° was found between the mean occlusal cant as measured on the Girrbach and the Hanau H2 articulators. The Hanau spring face-bow uses orbitale as the anterior reference point. The orbitale indicator of the articulator is positioned 7 mm higher than the condylar horizontal axis. After mounting the casts on the articulator, the casts are positioned with the anterior reference point being orbitale minus 7 mm. Thus, with this technique, the patients' Frankfort horizontal plane becomes the horizontal plane of reference in the articulator. This explains the proximity of reading of the occlusal cant for the Hanau articulator in comparison with the cephalogram. The Girrbach Rotofix face-bow has a Lipezig glabella support which consists of a nasion support and a nasion adapter. The nasion support attaches the glabella support to the face-bow framework. The distance between the nasion adapter and the horizontal arm of the face-bow is 34 mm. Thus, the horizontal arm of the face-bow and not the nasion becomes the actual anterior reference locator. The face-bow, thereby, uses an approximate axis-orbital plane for orienting the maxillary casts. Several studies have shown that relating the maxilla to the axis-orbital plane will lower the maxillary casts anteriorly from the position that would be established if Frankfort horizontal plane was used. ,,,,, Therefore, when the maxillary casts are mounted, the incisal edges of the maxillary casts are positioned more inferiorly, thereby increasing the occlusal cant. This explains the results obtained in this study, showing increased measurements for the Girrbach articulator in comparison to the cephalometric and Hanau occlusal cants. Errickson et al. identified a similar problem in the SAM articulator. They concluded that the "systemic error in mounting" caused by a fixed value nasion relator made comparisons between radiographs and mounted casts impossible. This was, in their view, a critical error when planning orthognathic surgical procedures. In addition, the glabella support, because of its rigid morphology did not conform accurately with glabella region of the individual. The fixed value of the nasion relator (25.4 mm) is also not applicable to all individuals. Studies have shown that this varies ranging between 15.9 and 39.4 mm with an average of 26.8 ± 3.87 mm. These two factors may contribute to the deviation of the measurements seen with the use of Girrbach articulator. Correct replication of the angle of sagittal inclination on the articulator has consequences on maxillary movements and autorotation of mandible. The intended clinical procedure determines the accuracy required for articulator mounting of maxillary cast. In this study, it was seen that the replication of the occlusal cant of an individual was less precise with Girrbach articulator when compared with Hanau H2 Wide Vue articulator. Such variations may produce significant effect on more technique-sensitive and high-precision procedures, especially, complicated facial surgical procedures. With research studies, some limitations are bound to be seen. In the same way, this study also had some limitations like the linear enlargement of lateral cephalograms, the negligible differences in setting expansion of plaster for each mix used for mounting even though standards of weight, volume, temperature and quality of water were strictly maintained. In this study, the sample size was limited in number and the measurements were of two-dimensional nature. A study with a greater sample size and improved three-dimensional records may yield greater recognizable information, while planning occlusion in complete mouth rehabilitation and complex surgical procedures. The present study was aimed at evaluating the sagittal inclination of the occlusal plane of the articulated maxillary casts using two different arbitrary face-bow and articulator systems, namely, the Hanau H2 Wide Vue and Girrbach Artex type AP semi-adjustable articulators and comparing them to the cephalometric occlusal cant. After statistical analysis, the following conclusions were made. Within the limitations of this study, it was seen that reproducibility of the occlusal cant on an articulator by a face-bow was not exact. The sagittal inclination of the mounted maxillary casts on the Hanau Wide Vue semi-adjustable articulator was closer to the individual's occlusal cant as measured on the cephalogram. The occlusal cant as measured on the Girrbach articulator was significantly steeper when compared to the cephalometric occlusal cant. The sagittal inclination of maxillary occlusal plane on the Girrbach articulator was significantly higher than on a Hanau H2 Wide Vue articulator. The Frankfort plane to maxillary plane relationship that exists in a subject was transferred better on a Hanau Wide Vue semi-adjustable articulator as compared to a Girrbach articulator. 1. Academy of Prosthodontics. Glossary of prosthodontic terms. J Prosthet Dent 2005;94:10-92. 2. Ellis E, Tharanon W, Gambrell K. Accuracy of face-bow transfer: effect on surgical prediction and postsurgical result. J Oral Maxillofac Surg 1992;50:562-7. 3. Lucia VO. Modern gnathological concepts: Updated. Chicago: Quintessence; 1983. p. 440. 4. McCollum BB. The mandibular hinge axis and a method of locating it. J Prosthet Dent 1960;10:428-35. 5. Lauritzen AG, Wolford LW. Hinge axis location on an experimental basis. J Prosthet Dent 1961;11:1059-67. 6. Borgh O, Posselt U. Hinge axis registration: experiments on the articulator. J Prosthet Dent 1958;8:35-40. 7. Campion GC. Some graphic records of movements of the mandible in the living subject. Cosmos (Dental) 1905;47:39-42. 8. Preston J. A reassessment of mandibular transverse horizontal axis theory. J Prosthet Dent 1979;41:605-13. 9. Wilkie ND. The anterior point of reference. J Prosthet Dent 1979;41:488-96. 10. Gordon SR, Stoffer WM, Connor SA. Location of the terminal hinge axis and its effect on the second molar cusp position. J Prosthet Dent 1984;52:99-105. 11. Jacobson A, Jacobson RL. Radiographic cephalometry: From basics to 3 D imaging. 2 nd ed. Chicago: Quintessence; 2006. p. 308. 12. Kreuger GE, Schneider RL. A plane of orientation with an extra cranial anterior point of reference. J Prosthet Dent 1986;56:56-60. 13. Pitchford JH. A re-evaluation of the axis-orbital plane and the use of orbitale in a face-bow transfer record. J Prosthet Dent 1991;66:349-55. 14. Okane H, Yamshena T, Nagasawa T, Tsuru H. The effect of anteroposterior inclination of the occlusal plane on biting force. J Prosthet Dent 1979;42:497-501. 15. Gold BR, Setchell DJ. An investigation of the reproducibility of face-bow transfers. J Oral Rehabil 1983;10:495-503. 16. Bailey JO, Nowlin TP. Evaluation of the third point of reference for mounting maxillary casts on the Hanau articulator. J Prosthet Dent 1984;51:199-201. 17. O'Malley AM, Milosevic A. Comparison of three face-bow/semi-adjustable articulator systems for planning orthognathic surgery. Brit J Oral Maxfac Surg 2000;38:185-90. 18. Brandrup-Wognsen T. The face-bow, its significance and application. J Prosthet Dent 1953;3:618-30. 19. Stade EH, Hanson JG, Baber CL. Esthetic considerations in the use of face-bow. J Prosthet Dent 1982;48:253-6. 20. Christensen RL. Rationale of the face-bow in maxillary cast mounting. J Prosthet Dent 1959;9:388-93. 21. Thorp ER, Smith DE, Nicholls Jl. Evaluation of the use of face-bow in complete denture occlusion. J Prosthet Dent 1978;39:5-15. 22. Erickson KL, Bell WH, Goldsmith DH. Analytical model surgery. In: Bell WH, editor. Modern Practice in Orthognathic and Reconstructive Surgery. Vol. 1. Philadelphia PA: Saunders; 1992. p. 155-63. 23. Wilcox CW, Sheets JL, Wilwerding TM. Accuracy of a Fixed Value Nasion Relator in Face-bow Design. J Prosthod 2008;17:31-4.